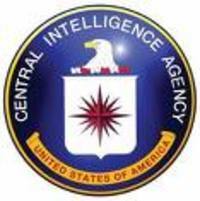 Computer World has an interesting article discussing the CIA’s use of Intellipedia — a Wikipedia-like project for its analysts. As a former naval intelligence officer, I think this is a fantastic idea but — perhaps not unsurprisingly — the idea has been met with some resistance from within the intelligence community. According to the article, in fact, the founders of the initiative were originally called "traitors." The idea of sharing knowledge and working among different agencies is undoubtedly foreign to many in the intelligence community; but it is unrealistic to expect even the most talented analyst to stay abreast of all the information, data and knowledge that is necessary to track, monitor and anticipate our enemies actions. It is only prudent that we adopt new tools such as Intellipedia — which may help alleviate some of the burden. However, before the tool can reach its full potential, it is essential that those intelligence officers who are not contributing to the wiki "unlearn" the idea that intelligence can only be analyzed one way or by a small group of people. Interestingly, some of the most eager users of Intelliedia are older intelligence officers who view it as a way of sharing their vast knowledge with their younger associates before they retire.